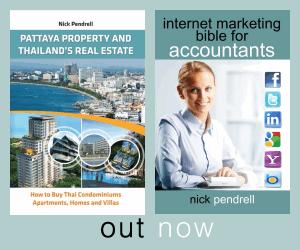 The Internet Marketing Bible for Accountants is now listed on Amazon. Details are still pretty limited up on the Amazon sites for the moment because of the simple fact that I haven’t yet released all of the information that Amazon (and other bookstores both online and offline) needs in order to give it a full listing. The main sticking point at the moment is that I don’t know the final page count just yet and, until I have it, I can’t finalize the book cover and so this will be one of the final elements that will be added. The book is well on target for its planned publication date of 3 January 2012, however. The book is currently out for comments and critique from several practicing accountants and CPAs. Their comments will be included in the final draft which will be produced during the month of November. December will then be ‘production’ month where the book is made ready for print and also formatted for release on the Kindle and the other majr ebook formats. Currently it’s not yet possible to pre-order the book, but it is possible to sign up on Amazon in order to get an email alert as to when pre-orders will begin. Click on the links below in order to see the listing and to sign up for the email alert as soon as it is available for pre-order.